Actually a coral island despite being part of the mainly granitic Inner Islands, Bird has only one small lodge but millions of sooty terns and other species, which give the privately-owned island its evocative name. There is also Esmeralda, a (male) giant tortoise of indeterminate age who can be encountered on guided nature walks. One beach offers superb swimming, while another is good for snorkelling. 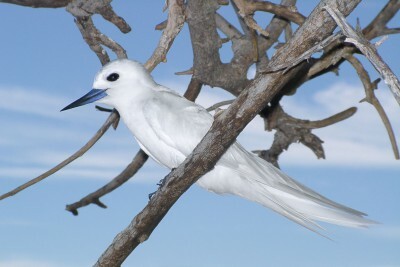 A unique ornithological experience awaits you on Bird, the most northerly of the Seychelles’ many islands and one of the prettiest.